Life of a Vagabond Girl – A twenty-something perspective on the joys of travel. Whether its near or far, small or big budget, solo or groups this is your one-stop travel shop. Follow me on my personal experiences, learn valuable travel tips, and get inspired to just go! A twenty-something perspective on the joys of travel. Whether its near or far, small or big budget, solo or groups this is your one-stop travel shop. 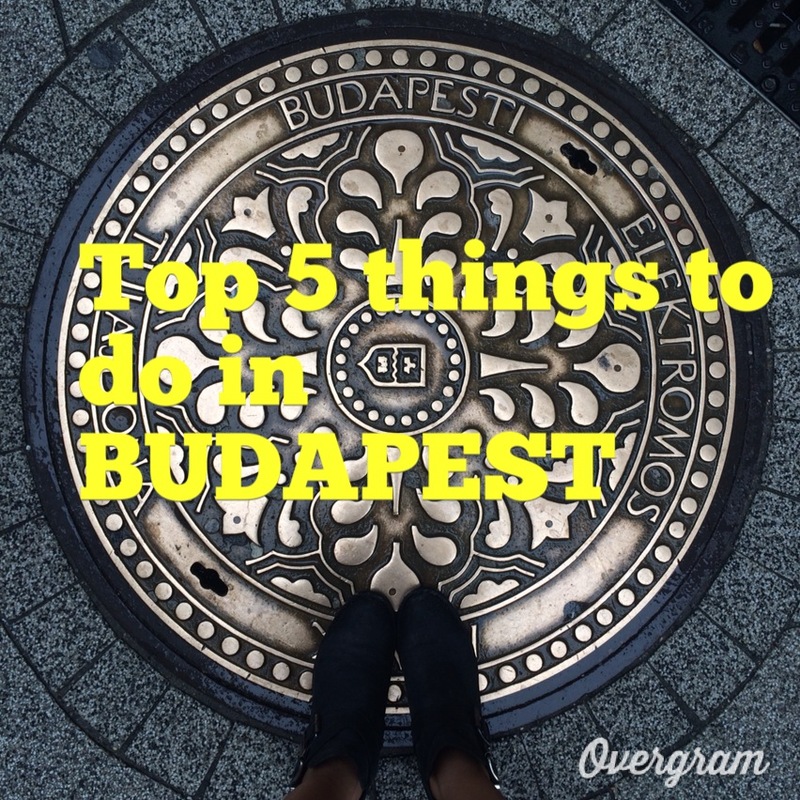 Follow me on my personal experiences, learn valuable travel tips, and get inspired to just go! This starts before you even get to the airport. When booking your flight make sure you choose your seat based on your needs. For example I’m one of those people who can easily fall asleep on a plane so I often pick the window seat so I can put my pillow against the window to help prop my head up. If you’re someone who likes to get up a lot or tinkles frequently then choose the aisle seat. Layer are not only helpful for in-flight temperature fluctuation but also in case your destination ends up being a different temperature than your departure. The more you travel the more you can add on to my basic list and personalize it for your specific needs for worry and hassle free international travel! HERE’S SOME MORE TRAVEL TIPS FOR FIRST-TIMERS AND PROS. Since I’m a “starving student” that loves to travel I often have to save money and cut corners on insignificant things when I travel like accommodation. I also travel solo most of the time so staying in hostels instead of hotels works the best for me; it not only saves me money but I’ve met some life long friends by staying in hostels. 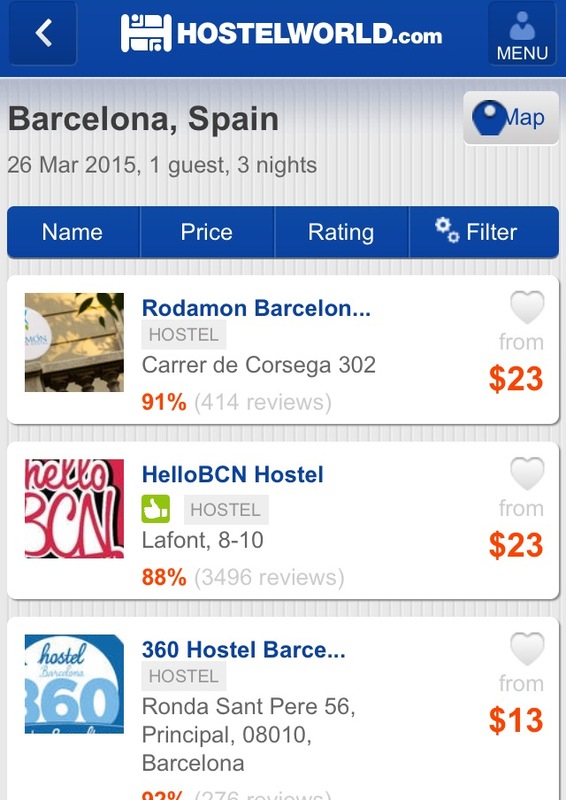 I’ve put together a few tips to help you find the right hostel based on your preferences. I know, especially when you’re a rookie traveler, finding the right hostel can be a bit of a daunting task especially if you’ve never even stayed in one. Hopefully my tips come in handy and you can definitely trust me, I’ve stayed in good and bad hostels but after several years of traveling I think I have the process figured out. 1. Pull up a map online of the city you will be staying in and find either the city center, the nightlife area (if that’s what you’re into) or the most central area to most attractions or transportation. 3. Once you’ve typed in where you want to stay and your dates you’ll see a list of places that are available and the price per night. Usually you can filter the list by price, area or rating. I usually filter by area first. Then I narrow my choices down based on the rating and price. As far as a good price goes, you can get an idea of what’s average, what’s cheap and what’s expensive based off the list you’re given. Never go with the cheapest (usually far from main areas) and never go with the most expensive (often you can get a hotel for cheaper). 4. 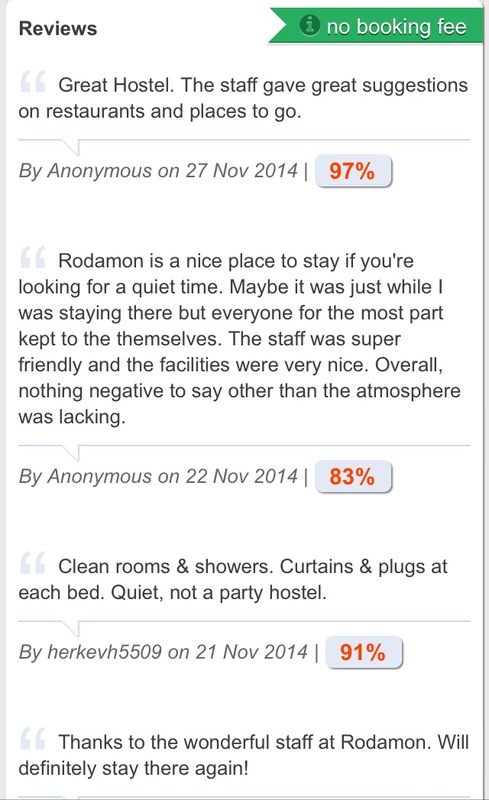 Rating is the most important aspect to look at when booking a hostel. I never stay somewhere that has below an 80% rating. The whole point is not just to save money but to meet interesting people and have a good experience. 5. Narrow it down to 3-4 choices then read good and bad reviews about the hostel. I tend to look for things like “I had a great time, the staff is friendly and it’s a great social atmosphere and close to (insert desired attraction here).” ( Also a good review of the showers is a bonus, you would be surprised how much a good hot shower makes you feel after a night of partying.) If it’s rated 80% or higher take the bad reviews with a grain of salt, sometimes people are very picky and sometimes they just get that rare bad experience. 6. Once you’ve read the reviews look at where the hostel is located and make sure it’s close to public transportation if needed. The only exceptions to public transport would be if you have a car or if the place you’re traveling to is a resort/beach town. Obviously you would rather be by the beach if that’s the case. 7. Decide on one of the hostels based on your budget and preferences. Sometimes you have to compromise, like maybe a hostel is a few dollars less per night but you have to walk 10 minutes to get to the main city area. Decide what you will and won’t sacrifice and then decide from there. 8. BOOK IT! Make sure you get a confirmation email and ALWAYS print this out and take it with you when you go on your trip. I can’t tell you how many times I’ve had to get my confirmation out because they couldn’t find me on the reservation. Did I say print out the confirmation? PRINT OUT THE CONFIRMATION! BONUS: I like to also print a map of where my hostel is just in case I get lost or I need help finding it. A lot of the times, especially in Europe, the hostels are upstairs or kind of hidden so a map always helps. If I had a free flight for every article, video, and pin I’ve seen with the title “how to pack like a pro” I would have traveled around the world 10 times over. With that being said I don’t want to be added to that dreadful list only to be another person offering the same, boring and generic packing idea saying “roll your clothes”. I’m fairly confident I know my way of packing is unique and I use this concept every single time I pack so you know it’s been tried and tested to be up to every traveler’s standards. Here’s a thorough demonstration of how to pack like a pro world traveler. How to Pack: Filing System Packing from nicole hale on Vimeo. I’ve seen countless articles and blog posts about when to book your flight whether it’s international or domestic. It seems everyone believes there’s some complicated magical formula to get the cheapest flight but that’s untrue. There is no guaranteed way to get a cheap flight. I’ve seen people get cheap flights weeks before and months before. The trick is to follow a few simple rules and if you have enough time, to constantly check on a daily or weekly basis to monitor how the prices fluctuate. 1. Websites that search across several airlines are your best bet unless you’re a loyalty belongs to a certain airline flyer program. The site I have used time and time again is KAYAK. I have booked at least 50 flights through this site and even when I’ve compared it to other flight aggregates they always provide the cheapest prices. The best part about KAYAK is the feature that allows you set an email alert so when you’re flight is at your desired price they send you an instant alert straight to your email. A similar website is SKYSCANNER. For some bonus information about booking airline tickets here’s an article from the Huffington Post. I’ve traveled to 25 countries and probably a hundred or so cities throughout my 26 years of life. Although I love to get out of my comfort zone which is Los Angeles, where I reside, I don’t always have the time or money to leave. If you ask any well-traveled person what they do when they can’t get away for a real vacation they will tell you their favorite thing to do is to be a tourist in their own city or state. I’m a firm believer in exploring your own surroundings even if you think you’ve done a lot in your own city it’s amazing the things you can find when you ask around and pretend you’re a tourist. Even though I’ve lived in LA all my life my style, tastes and cultural perspectives are always changing and something that I may have found uninteresting before may seem interesting to me now. 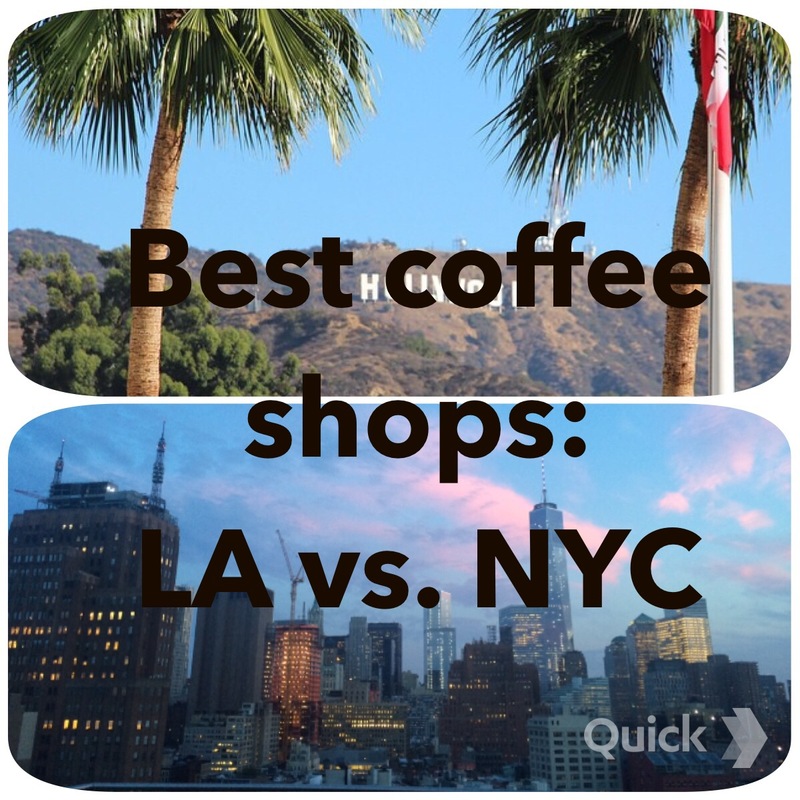 Here’s my Best of LA list with my favorite places to eat, drink and shop. Click here or watch the video below. Under the video are links to each place, just click on the name for more info! URTH CAFFE 451 South Hewitt Street, Los Angeles: Another one of my favorite LA eats it Urth Caffe located in the arts district. This cute café is always busy but the line goes quickly and is well worth the wait. Usually my friends and I will head over to Urth on a Saturday afternoon, find an empty table and enjoy a farm fresh salad and a made to order Spanish latte- my go-to menu items. Urth is the epitome of the LA art scene here you’ll spot some of the fashionable hipsters that make LA such a trendy city. Another reason why LA is such a fun place to live is the night life. HEMINGWAYS LOUNGE 6356 Hollywood Blvd, Los Angeles: Bars in LA can all be very similar in terms of atmosphere and crowd and usually the lifespan of a good bar is short due TO the every changing nightlife scene. One bar that has lasted and offers a very unique vibe is Hemingway’s Lounge in the Hollywood area. As soon as you walk into the bar you’ll notice how dimly lit it is giving an intimate yet mysterious atmosphere. The walls are covered with books from floor to ceiling which gives Hemingway’s Lounge a bit of old world charm yet you don’t feel like you’re in just another LA bar. It’s the perfect place to listen to a variety of music and enjoy a cocktail or two with friends. ACE HOTEL 929 South Broadway, Los Angeles: Just recently LA has jumped on the rooftop bar scene and even though it’s a fairly new concept to the younger crowd there are a few good rooftop bars, one of them being on top of the newly built ACE hotel located in downtown. I’ve been here at night AND during the day and both experiences were very different. I would recommend a day time visit on a sunny afternoon when the city skyline views are most visible otherwise all you’ll really see is the good ole LA smog. Since there’s numerous restaurants within walking distance of the ACE rooftop bar the evening is also a great time to go and enjoy a cocktail either pre or post dinner. While Los angeles is known for some great restaurants and nightlife, it’s also known as a city that offers a wide variety in shopping. The Beverly center and the Santa Monica promenade are 2 of LA’s popular spots to shop but a lot of people, even LA natives are unaware of the great discount shopping this city has to offer. SANTEE ALLEYS 210 East Olympic Blvd, Los Angeles: Unless you’ve explored the fashion district for work or you found out about it through word of mouth you would never know about the shopping area nicknames the ALLEYS and it’s one of LA’s best hidden gems. Especially for all my girls out there that love a good bargain. The best way to get there is off the 10 freeway and exit Los Angeles street then make your way to 9th street and Santee where you’ll see the entrance into the shops. The Alley is literally an alley way lined with tons of little clothing, shoes and accessories shops along with the odd store or two selling knock-off brand name purses. I often come shopping here when I’m in need of something specific for my wardrobe but don’t want to pay mall prices.